letterpress printing on Smooth Cotton 2-ply (636 gsm). liner digitally printed on cotton text. 1 letterpress ink (205U) + 3 digital inks (583 +5523 + 205). printed on our Heidelberg Windmill 10 x 15 and HP Indigo. 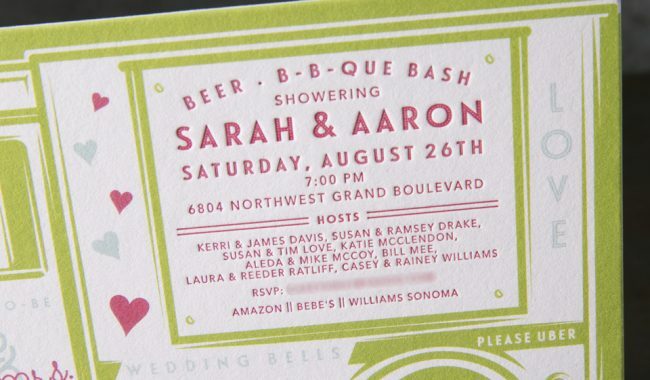 the letterpress and digitally printed wedding shower invitations (8.3125″ x 4.5625″). 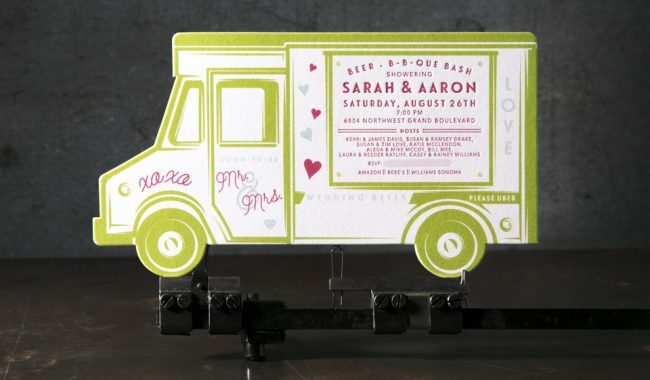 The host wanted ‘something fun and bright, maybe with the bride and groom’s name on the truck.’ The resulting invitation features a custom die cut in the shape of a food truck for a memorable and whimsical piece. The main text is letterpress printed in 205U and surrounded by a digitally printed frame and additional details in 583, 5523 and 205. 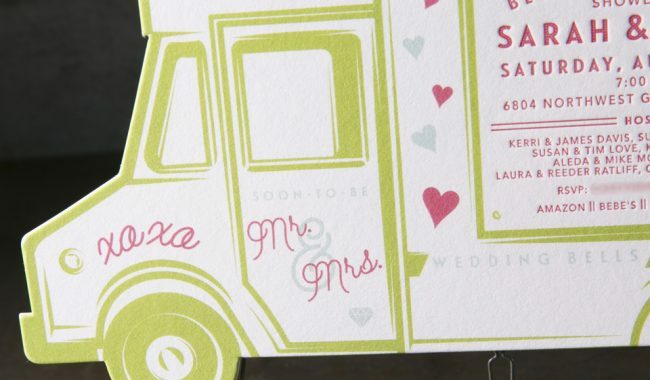 Thick 2-ply stock is soft and showcases the impression of the letterpress. The striped liner picked up on the 205 and 5523 used on the invite for a cohesive finishing touch.